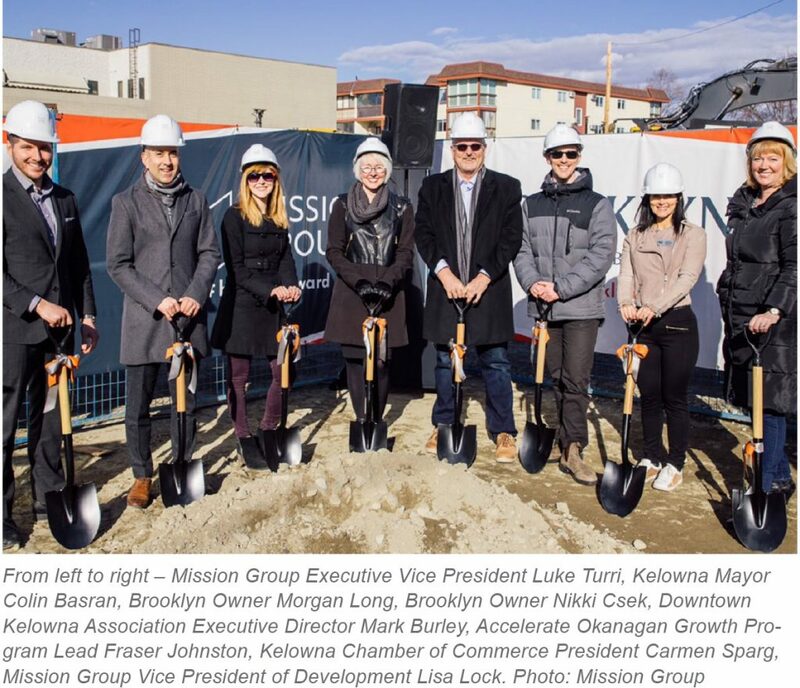 Mission Group, a Kelowna community builder, along with several homeowners, Kelowna Mayor Colin Basran, and association leaders, broke ground for the Brooklyn early Wednesday. Brooklyn is located along St. Paul Street at Bernard Block in downtown Kelowna. 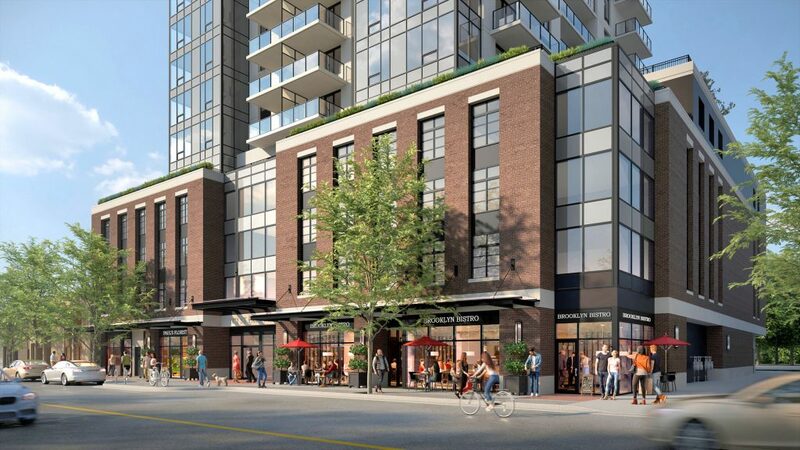 This 178-unit, 25-storey high-rise development aims to provide a much needed multi-family housing and aligns with the City of Kelowna’s Downtown Plan and zoning strategy. “Mission Group is so proud to be apart of the revitalization of the Bernard District, right here in the downtown core of our city. Brooklyn has proven popular with homeowners who are attracted by the location, energy, and amenities of the Bernard District.